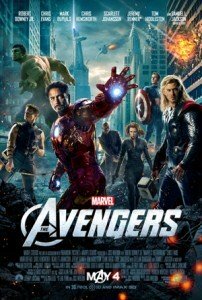 How to watch Avengers assemble online! Written and directed by fan favourite Joss Whedon, and featuring an ensemble cast including Robert Downey Jr., Chris Evans, Mark Ruffalo, Chris Hemsworth, Scarlett Johansson, Jeremy Renner, Tom Hiddleston, Clark Gregg, Cobie Smulders, Stellan Skarsgård, and Samuel L. Jackson, The Avengers became a box office phenomenon in 2012 grossing over $1.5 billion worldwide! Released as culmination to Marvel’s Phase 1 in the Marvel Cinematic Universe(MCU), The Avengers was preceded by a collection of films featuring the main heroes in the team, namely Iron Man, Thor and Captain America. It all started when Marvel produced IRON MAN back in 2008. At the time of its release, Iron Man was a fairly unknown character in the Marvel roster of super heroes. While Marvel fans have long known Iron Man and Tony Stark, general awareness surrounding the character prior to the release of the movie was nowhere near other Marvel heavyweights such as the X-Men and Spider-Man. With Robert Downey Jr’s excellent portrayal of the character, Iron Man quickly rose to be one of Marvel’s most recognisable heroes. Catch the movie on Netflix with SimpleTelly! Actors come and go, but characters continue to evolve. Such is the fate of The Incredible Hulk. While the this version of Bruce Banner made it into The Avengers, break down in negotiations between Edward Norton and Marvel lead to him being replaced by Mark Ruffalo in The Avengers. Witness the Hulk’s rage with Netflix and SimpleTelly! With the success of IRON MAN, a sequel was greenlit and scheduled for a 2010 release, 2 years after the release of the original film. Continuing where Iron Man left off, Tony Stark has revealed his identity as the titular hero and faces an uphill task of defending his decision to hold on to his suit while the US government continues to demand that it be handed off to the government. The film was notable for reintroducing James “Rhodey” Rhodes and for bringing War Machine into the Marvel Cinematic Universe. Aside from that, the film also introduces the Black Widow and teases the next film in the Marvel Cinematic Universe, Thor. Check out the movie on Netflix with SimpleTelly. It’s not the armor that makes the hero, but the man inside. With the tease of Thor’s hammer on earth at the end of Iron Man 2, Marvel released the God of thunder in 2011. With the rise of 3D technology, the movie was converted to 3D during post-production. (In all honesty, the movie did not need it, as the 3D did little to add to the movie). Although lead by Chris Hemsworth as Thor, the break out star of the film was undoubtedly Tom Hiddleston as Loki. It’s unbelievable now to think that Tom Hiddleston actually auditioned for the role of Thor prior to being cast as Loki! Tom Hiddleston did such an amazing job as Loki that many fans(Especially the women!) watched the movie multiple times just to see Hiddleston on screen. It’s a testament to an actor’s ability that even a villainous role can be considered on par or bigger than that of the hero. Set on both Asgard and Earth, Thor tells the story of a Norse God whose arrogance drove his father to banish him to earth to learn humility and, in time, rise to be the rightful ruler of Asgard. All the while, his brother Loki plays mind games with him, trying to usurp the throne for himself. The final piece in The Avengers’ line up pushes us back in time to World War 2 to reveal The First Avenger: Captain America. Unlike the other movies in Marvel’s Phase 1, Captain America takes place mainly in the 1940s, pitting him against the Nazi regime, or more specifically, their deep science division, HYDRA. From a scrawny kid with unrealistic ambitions of fighting the Nazis to a successful science experiment granting him remarkable strength, speed, agility, endurance, reflexes, durability and regenerative capabilities, Captain America’s resolve of fighting the good fight and protecting the lives of all he has sworn to protect does not diminish with his transformation into a super soldier. The film is notable for not only introducing Captain America, but also for introducing HYDRA. While certain key members of HYDRA are defeated by the end of the film, the organisation lives on through World War 2 and even makes a comeback in the Marvel Cinematic Universe decades later. With The Avengers assembled, be sure to catch them face off against Loki in The Avengers! With The Avengers assembled and the movie so well received by audiences around the world, Marvel moved on with Phase 2, having Ultron as the central villain in the sequel, Avengers Age of Ultron. At this point, Marvel had not yet introduced a major character from Ultron’s comic book history; Hank Pym aka Ant-Man. With this vital character missing from the MCU, many were wondering who would be responsible for the creation of the character. As many have guessed, the one who’d be responsible for the Age of Ultron would be Tony Stark. Like Phase 1, Phase 2 begins with Iron Man and culminates in the sequel to The Avengers, Age of Ultron. With one of the biggest controversies in Marvel Cinematic history, the Mandarin is brought into Iron Man 3 as the main antagonist with a twist. While the reveal as to who the Mandarin really is angered many fans worldwide, it brought a fresh perspective to an otherwise well known villain in the Marvel Universe. The movie dives into Tony’s true feelings about the Iron Man armour and how it affects him as well as the world around him. Does the armour make the man, or does the man make the armour? As is always the case, ancient evils in fiction never really die. In Thor The Dark World, the Dark Elf Malekith returns from a centuries long exile to exact revenge and plunge the 9 realms into darkness by harnessing the power of the Aether. While absent from the Avengers film, Jane Foster returns in this sequel as both Thor’s love interest and as the person who initially uncovers the Aether. Supporting characters such as Lady Sif, Odin and Loki also return in The Dark World. After the events of The Avengers, Captain America stayed with SHIELD and continued working under Director Fury, all the while adjusting to life in present day America. Thinking he’d lost all of his friends, Captain America is shocked to find a ghost from his past is back and has become a ruthless killing machine. Faced with both the shock of seeing a close friend turn traitor and the revelation that SHIELD is not all what it claims to be, Captain America will have to rely on friends old and new to overcome this enormous obstacle. Catch the movie on the following Netflix regions and be sure to watch out for the end credits that directly tie into Avengers Age of Ultron! Introducing a host of brand new heroes into the Marvel Cinematic Universe, Guardians of the Galaxy takes the action to space with aliens and fantastical technology that hasn’t been shown in any other Marvel movie! Following his mother’s death, a young Peter Quill is abducted and brought up by the Ravagers, a group of pirates led by Yondu Udonta. Quill grows up to be part of the group and ends up on an out of this world adventure that sees him meet a band of criminals and together, evolve from common thugs, to the Guardians of the Galaxy! Don’t forget that you can sign up for our TWO WEEK free trial, unblock Netflix with SimpleTelly! HBO NOW launch, apps and pricing details!